Players: Girl, 3; Boy; 7. 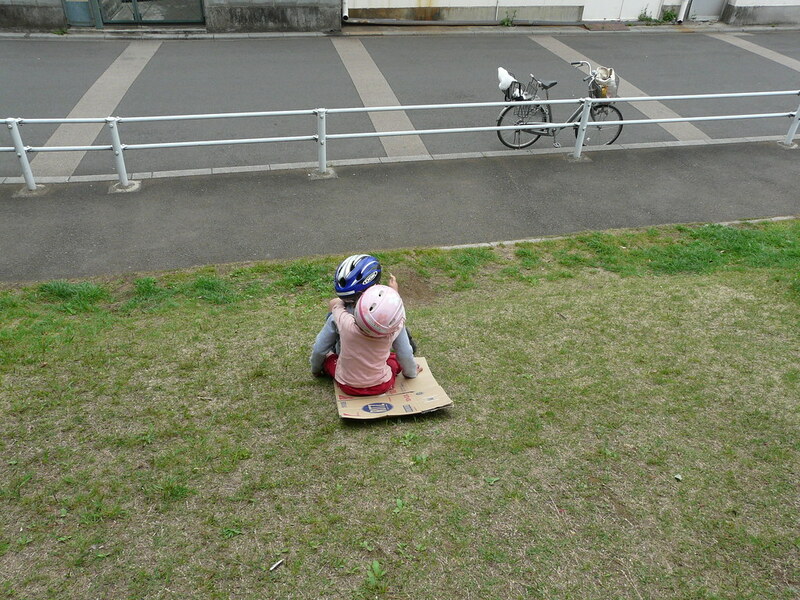 Materials: Cardboard Box, Slope (Material). Concepts: High Places, Slope (Concept), Speed, Nervous, Crash, Together, Trust.